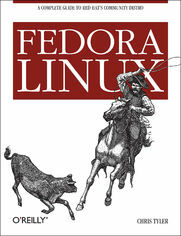 Does your equipment meet Fedoras system requirements? ...renaming a network interface, or configuring a wlan interface using the GUI configuration tool? ...disabling the touchpad automatically when Im typing? ...deleting someone elses file in /tmp? ...changing a files owner and group at the same time? ...updating a machine when its booted? ...packages that dont have a configure script? ...using a logo that isnt rectangular? ...a bug thats not really a bug?